Jung saw the human psyche as “by nature spiritual”, and made spirituality the focus of his explorations. Jung is one of the best known contemporary contributors to dream analysis and symbolization. His work has been influential in psychiatry and in the study of spirituality, literature and related fields. His advice to a patient suffering from alcoholism led to the formation of Alcoholics Anonymous, which has helped millions of people suffering from alcohol dependence. 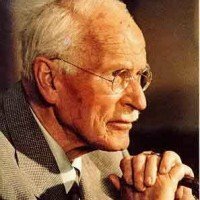 Born Karl Gustav II Jung in Switzerland, on 26 July 1875, Carl Jung was the son of a poor rural pastor in the Swiss Reformed Church, while his mother came from a wealthy and established Swiss family. An eccentric and depressed woman, Emilie Jung spent much of the time in her own separate bedroom, enthralled by the spirits that she said visited her at night. A number of childhood memories had made a lifelong impression on him. As a boy, he carved a tiny mannequin into the end of the wooden ruler from his pencil case and placed it inside the case. Periodically he would come back to the mannequin, often bringing tiny sheets of paper with messages inscribed on them in his own secret language. This ceremonial act, Jung later reflected, brought him a feeling of inner peace and security. In later years he discovered that similarities existed in this memory and the totems of native peoples like the collection of soul-stones near Arlesheim, or the Tjurungas of Australia. This, he concluded, was an unconscious ritual that he did not question or understand at the time, but which was practiced in a strikingly similar way in faraway locations that he as a young boy had no way of consciously knowing about. His findings on psychological archetypes and the collective unconscious were inspired in part by these experiences. 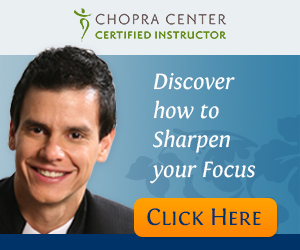 At the age of 12, Jung was pushed to the ground so hard by another classmate that he lost consciousness. Jung started fainting anytime he was supposed to go to school or do homework. His parents and doctors became convinced that the boy might have epilepsy. After Jung overheard his father confessing his concerns that his son would never be able to work and support himself, Jung developed a renewed focus on academics. Jung later described himself was an introverted and solitary child, saying that he was most happy when he was left alone to his thoughts. As Jung grew older, his keen interest in a large variety of sciences, and the history of religion made the choice of a career quite difficult. Jung decided to study medicine, but also developed an interest in spiritual phenomena while in school. It was this fascination with medicine and spirituality that led him into the field of psychiatry, which he viewed as a combination of his two interests. In 1902, he completed his doctoral dissertation, titled “On the Psychology and Pathology of So-Called Occult Phenomena” and graduated from University of Basel with a medical degree. In 1903, Jung married a woman who came from a wealthy family in Switzerland. They had five children and lived on the Lake of Zurich. The marriage lasted until her death in 1955, but he had somewhat open relationships with other women. Early in his career, Jung worked with psychiatric patients at the University of Zürich asylum. When Jung read Sigmund Freud’s (1856–1939) “Interpretation of Dreams”, he found his own ideas and observations to be basically confirmed and furthered. In 1906 (at 36), he wrote “Studies in Word Association” and sent a copy to Sigmund Freud in Vienna. The event served as the beginning of a friendship between the two men. When the two finally met in person in 1907, they talked, he remembered, for thirteen hours, virtually without stopping. Six months later, the then 50-year-old Freud sent a collection of his latest published essays to Jung in Zurich, which marked the beginning of an intense correspondence and collaboration that lasted six years and ended in May 1913. Jung and Freud influenced each other during the intellectually formative years of Jung’s life. Freud called Jung “his adopted eldest son, his crown prince and successor”. Sigmund Freud had a major impact on Jung’s later theories and helped him develop a fascination for the unconscious mind. However, Jung wanted to further understanding of the human mind through dreams, myth, art and philosophy. In 1912 Jung published ” Psychology of the Unconscious” resulting in a theoretical divergence between him and Freud. Jung de-emphasized the importance of sexual development and focused on the collective unconscious: the part of our unconscious that contain memories and ideas inherited from our ancestors. While he did think that libido was an important source for personal growth, he, unlike Freud, believed that libido alone was not responsible for the formation of the core personality. Jung believed the human psyche exists in three parts: the ego (the conscious mind), the personal unconscious and the collective unconscious. For Jung the unconscious not only is a disturbing factor causing psychic illnesses but also is basically the source of man’s creativeness and the roots of a person’s consciousness. With such ideas Jung came increasingly into conflict with Freud, who regarded Jung’s ideas as unscientific. Jung accused Freud of narrow-mindedness; Freud and his followers disapproved of Jung for his emphasis of the spiritual aspects of the psyche. Consequently a break in their friendship was to follow, each stating that the other was unable to admit he could possibly be wrong. After this falling-out, Jung went through a pivotal and difficult psychological transformation, which was exacerbated by news of the First World War. Jung became more organized about his theoretical approach, broke from psychodynamic theories and formed his own theory called Analytical Psychology. Parting with Freud was certainly not easy. Freud closed ranks among his other followers. Jung’s colleagues in the psychoanalytic community turned against him, as did many of his former friends. The concept of synchronicity was first described in this terminology by Jung in the 1920s. He gave a full statement of it only in 1951 in an lecture and in 1952, published a paper “Synchronicity — An Acausal Connecting Principle”, in a volume with a related study by the physicist (and Nobel laureate) Wolfgang Pauli. Jung stated that Synchronicity is the experience of two or more events that are apparently causally unrelated or unlikely to occur together by chance, yet are experienced as occurring together in a meaningful manner. It was a principle that Jung felt gave conclusive evidence for his concepts of archetypes and the collective unconscious in that it was descriptive of a governing dynamic that underlies the whole of human experience and history — social, emotional, psychological, and spiritual. Concurrent events that first appear to be coincidental but later turn out to be causally related are termed incoincident. Following discussions with both Albert Einstein and Wolfgan Pauli, Jung was transfixed by the idea that life was not a series of random events but rather an expression of a deeper order, which he and Pauli referred to as Unus Mundus, “One world,” the concept of an underlying unified reality from which everything emerges and returns to. This deeper order led to the insights that this expansion of awareness was more than just an intellectual exercise, but also having elements of a spiritual awakening. From the religious perspective, synchronicity shares similar characteristics of an “intervention of grace”. Jung also believed that in a person’s life, synchronicity served a role similar to that of dreams, with the purpose of shifting a person’s egocentric conscious thinking to greater wholeness and abundance. In order to study archetypal patterns and processes, Jung visited so-called primitive tribes. He lived among the Pueblo Indians of New Mexico and Arizona in 1924 and 1925 and among the inhabitants of Mt. Elgon in Kenya during 1925 and 1926. He later visited Egypt and India. To Jung, the religious symbols and phenomenology (a system of beliefs developed by studying peoples understanding and awareness of themselves) of Buddhism and Hinduism and the teachings of Zen Buddhism and Confucianism all expressed differentiated experiences on the way to man’s inner world, a world which was badly neglected by Western civilization. Jung also searched for traditions in Western culture, which made up for its one-sided outgoing development toward reason and technology. He found these traditions in Gnosticism (belief that personal freedom comes through spiritual knowledge and understanding), Christian mysticism (the belief that instinct and spiritual feeling are the ways to find God), and, above all, occultism (knowledge or use of supernatural powers). Some of his major works are deep and clear psychological interpretations of alchemical (the ability and power to make common things special) writings, showing their living significance for understanding dreams and the hidden theme of neurotic and mental disorders. Jung devoted himself to exploring his own subconscious. In 1913, at the age of thirty-eight, Jung experienced a horrible “confrontation with the unconscious”. He saw visions and heard voices. He worried at times that he was “menaced by a psychosis” or was “doing a schizophrenia.” He decided that it was valuable experience, and in private, he induced hallucinations, or, in his words, “active imaginations”. He recorded everything he felt in small journals. Jung began to transcribe his notes into a large, red leather-bound book (what he called the “Red Book”) on which he worked intermittently for sixteen years. Jung lived for his explorations, his writings, and his psychological practice, which he had to give up in 1944 due to a severe heart attack. He was beset by heart and circulatory troubles and died on 6 June 1961 in Switzerland after a short illness.